Intimate, heartbreaking, and illuminating, go on an incredible journey from grief and skepticism to healing and belief. Based on Medhus’s wildly popular blog, Channeling Erik, My Son and the Afterlife provides answers to the most universal questions of being human. "Dr. Elisa Medhus offers a heartfelt, deeply moving story that invites readers to question their own beliefs of love, loss, and the afterlife." 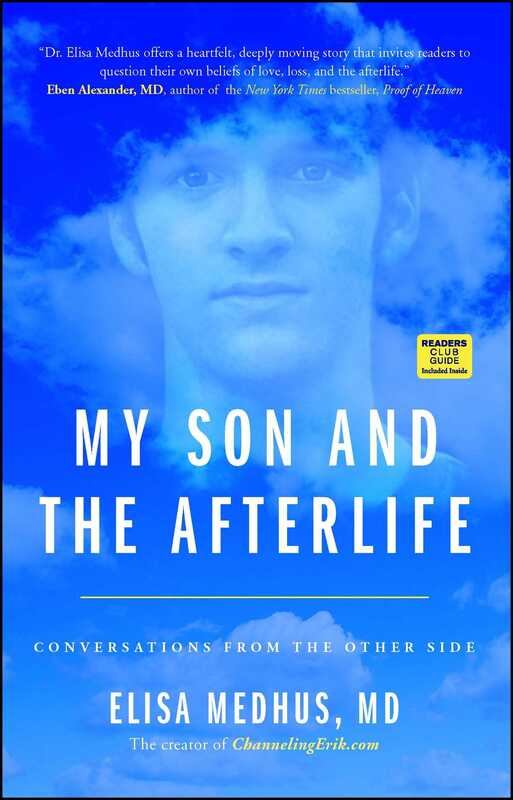 “Erik's messages are poignant, profound, informative, and entertaining, and above all give us that assurance that we all long for—that there is life beyond death, and that all is well there. Erik’s words help our minds to understand, but most of all he helps our hearts to heal and our joy to soar. Thank you, Erik."